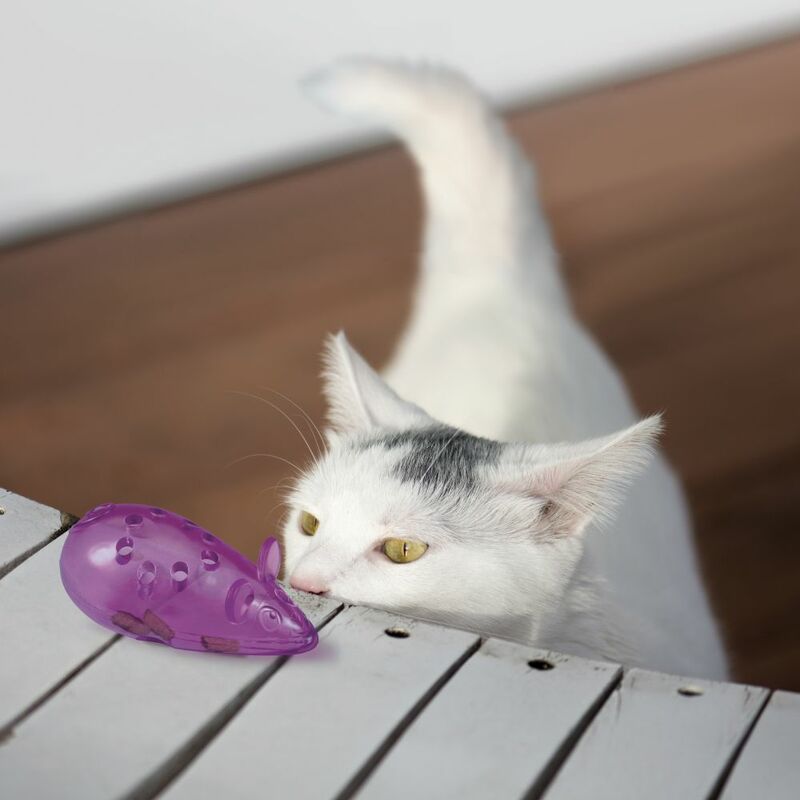 KONG Nibble Bitz toys mentally stimulate cats’ instinctive desires with multiple toys in one that create a variety of active adventures. 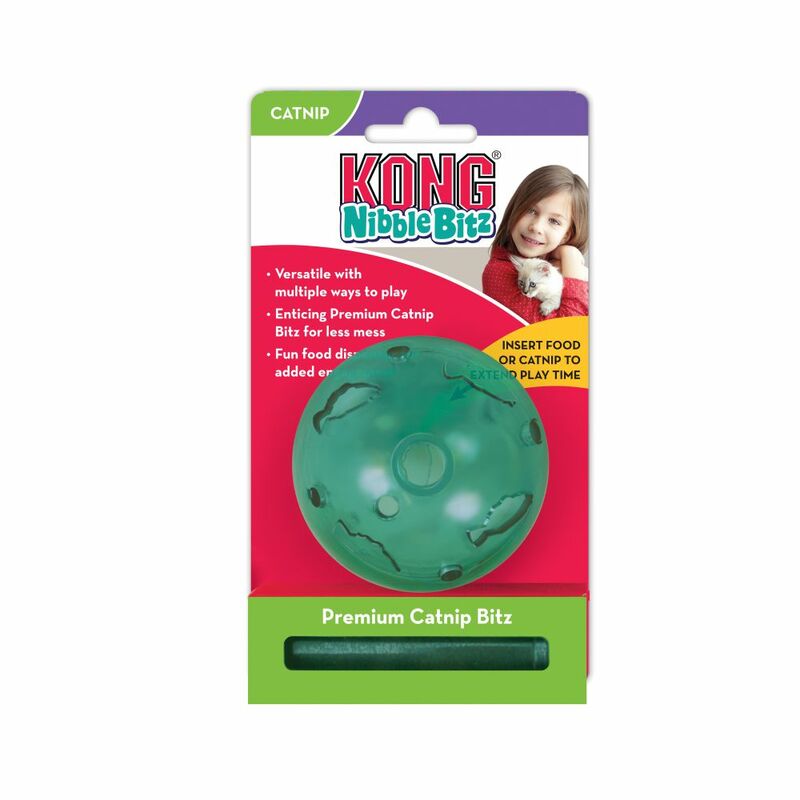 For less mess while luring in frisky felines, add KONG Premium North American Catnip compressed Bitz snugly into the top Bitz-portals and let the action unfold. 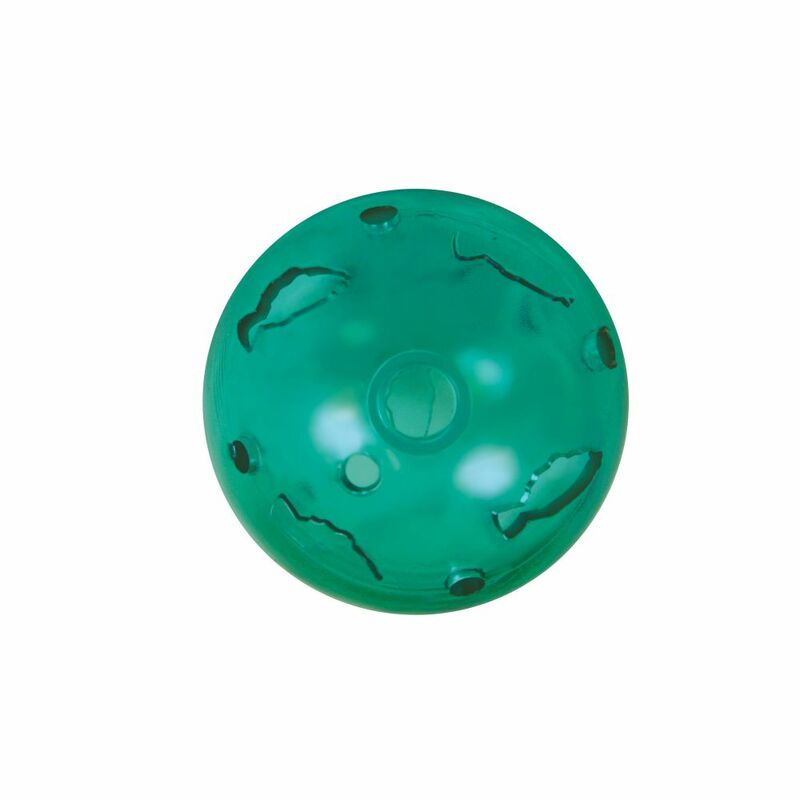 For fun added engagement insert food through the base dispensers to keep cats batting and swatting and coming back for more.